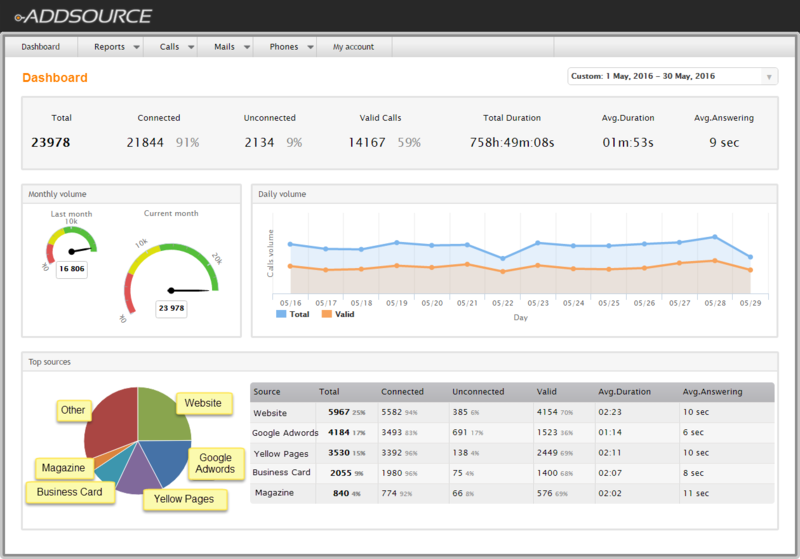 AddSource is a unique and user-friendly cloud based call tracking platform that seeks to give you full information about your advertising performance. 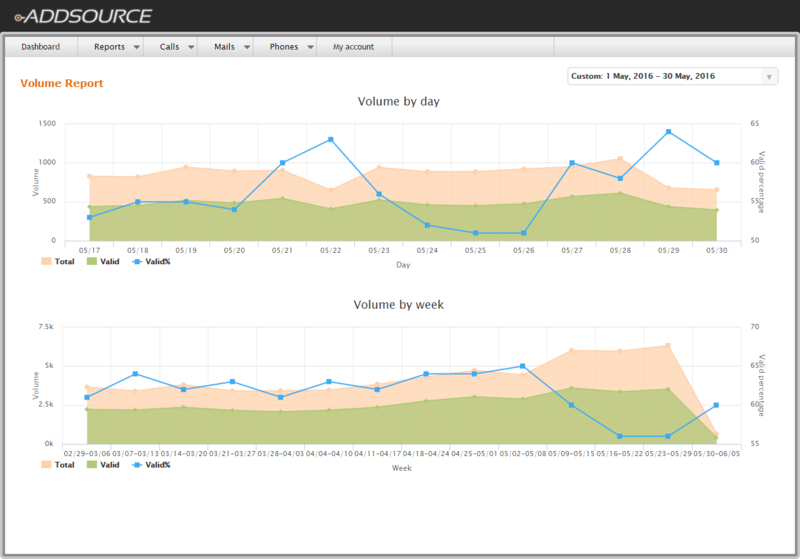 Simplified Call Tracking dedicated to helping businesses reduce costs and increase profits. Hi there! 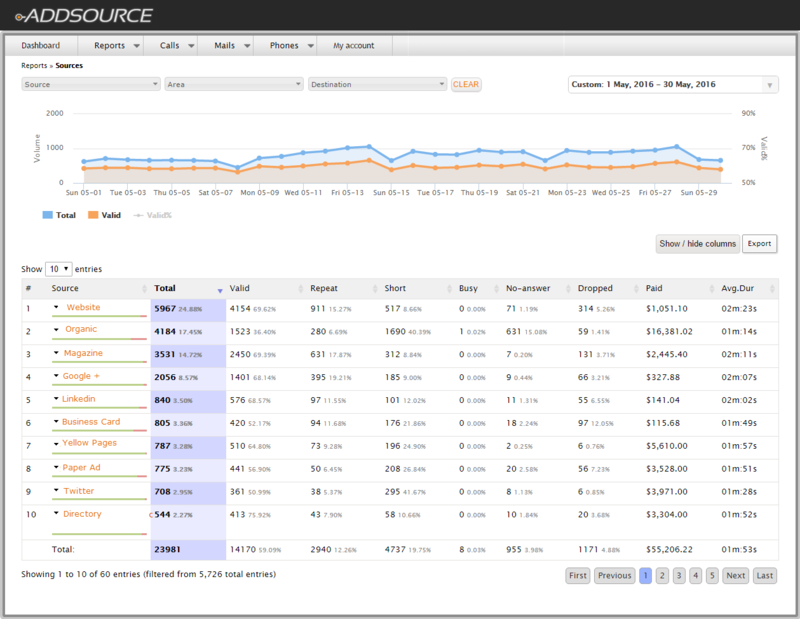 Are you looking to implement a solution like AddSource?